Perhaps one of the most fulfilling experiences for an author is the ability to connect with an audience over the topic of his book. OSU Press author Michael Helquist recently had this opportunity to help shape the young minds of undergraduate students at Washington State University – Vancouver while perpetuating the legacy of an extraordinary woman, Marie Equi. He discussed his book Marie Equi: Radical Politics and Outlaw Passions and was energized by the students' smart questions and engagement with the material. Michael shares his experience below. On a foggy November morning on a forested campus in the Pacific Northwest, I spent a few hours talking about Marie Equi: Radical Politics and Outlaw Passions with women’s history students. They were undergraduates at Washington State University – Vancouver, and they had already read my biography of Equi. Professor Laurie Mercier had assigned the book as one of two full-volume readings for the course. Students were also required to write a 1000-word paper that examined one or two social or political movements in which Equi was involved. Professor Mercier posed a few possibilities for the discussion papers. She suggested they consider how Equi’s background and experiences influenced her drive to become one of the few female physicians in the country. How did her gender, sexuality, and class shape her work and activism? How did Equi’s frailties and flaws reveal her humanity? Did Equi affect the city of Portland and the broader Pacific Northwest, and, related to that, is Equi’s story uniquely regional (western)? The reading and writing assignments meant that students had to engage with Equi’s story on a deeper level than if they had simply read excerpts or skimmed the book. This was my first opportunity to discuss my biography with undergraduates who had already read the biography. Two years ago I talked to Professor Kimberly Jensen’s graduate seminar class at Western Oregon University, and last year I spoke before a noon-time gathering for Professor Nancy Krieger’s graduate students at the Harvard T.H. Chan School of Public Health. I enjoyed both those occasions, but I expected talking with undergraduates would be different. I was eager to hear how younger students reacted to Equi’s life, her radical politics, her love of women, and how she tried to stay true to herself and her associates. About 30 students and visitors joined the discussion about Equi, including a handful of men, who had signed up for the review of women’s history from the 17th century to the present. For the first twenty minutes I introduced the question “Whose story gets told?” Why were there fewer biographies of women, political radicals, working class people, and sexual minorities? What have we as a nation and community lost as a result of not valuing these people’s stories enough to encourage retaining their writing and studying their lives? I recalled Nancy Krieger’s argument in a 1983 journal article that Equi’s story had been largely untold due to her political radicalism and transgressive sexuality. I then described my years-long search that led to a trove of Equi-related documents, including correspondence, court testimony, and more than 300 newspaper articles that confirmed Equi’s historical footprint and her voice. As a result, her story got told. The students were hesitant, at first, to ask questions, and I reminded myself of the considerable age difference between us and how that might affect them. Once the first questions were posed, however, a steady stream followed. “How did Equi’s role and upbringing as an outsider affect her?” one student asked. That was followed by a related question about whether Equi’s outsider status led her to defend the underdog. I told the students that I thought Equi strived to be included in social and political groups all her life. But a woman in the early 1900s who worked in a profession dominated by men, a woman of working-class background who dared to become a doctor, and a relatively open lesbian who fought for radical change could not avoid being an outsider. I reminded them that in Equi’s day simply striving to be independent made a woman suspect and beyond the norm. I proposed that experiencing life as an outsider might very well have made Equi more sensitive to others who were disadvantaged or discriminated against. Another student wondered, “How did Equi avoid getting arrested for providing abortions?” I discussed the politics of abortion prosecutions in Portland during the period Equi began providing the procedure. Abortion trials spiked during the Progressive Era when activists pushed for social control as well as social reform. But there’s no documentation that Equi was either investigated or charged with providing illegal abortions. She was known to be adept at the procedure, and other doctors referred their clients seeking abortions to her. (In effect, these doctors maintained their client base while shifting legal risks to Equi). I suggested that Equi, in effect, ensured protection for herself by providing the service to the wives, daughters, or mistresses of influential men in town. “Was Equi particularly good with the press?” another student asked. I had described in my book that reporters appeared to regard Equi as an excellent source of copy. She provided good quotes, she was opinionated and unafraid to speak out against injustice, and she had a ready sense of humor. I shared with the students a few of the more than 300 newspaper reports I discovered featuring Equi. Once again there was the question I get almost every time I talk about the biography: “How did I learn about Marie Equi?” I credit the Portland-based Gay Lesbian Archives of the Pacific Northwest (GLAPN) for first alerting me to Equi as a twenty-year old who horsewhipped a school superintendent in the middle of The Dalles, Oregon over a pay dispute involving her girlfriend. After that, I wanted to know more. I discovered a woman of compassion and conviction who risked her livelihood and well-being in the defense of others. My hour with the WSU students passed quickly. We had time for a group photo and book signings. Several students thanked me for speaking to them and for writing the book. I’m grateful to them and especially to Professor Mercier for introducing Marie Equi to her students. “‘Criminal Operations’: The First Fifty Years of Abortion Trials in Portland, Oregon,” Michael Helquist, Oregon Historical Quarterly, vol. 116, no. 4, Spring 2015. Winner, 2016 Joel Palmer Award. “‘Lewd, Obscene and Indecent’ The 1916 Portland Edition of Family Limitation,” Michael Helquist, Oregon Historical Quarterly, vol. 117, no. 2, Summer 2016. “Adventures in Family Limitation,” history comic, Khris Soden and Michael Helquist, Oregon Historical Quarterly, vol. 117, no. 2, Summer 2016. “Resistance, Dissent, and Punishment in WWI Oregon,” Michael Helquist, Oregon Historical Quarterly, vol. 118, no. 2, Summer 2017. Available at JSTOR. “Portland to the Rescue: The Rose City’s Response to the 1906 San Francisco Earthquake and Fire,” Michael Helquist, Oregon Historical Quarterly, vol. 108, no. 3, Fall 2007. Available at JSTOR. Culture and communication are inextricably linked. Whether it is building a narrative for ourselves, talking within our communities, or trying to speak across boundaries – ultimately, much of our cultural practices and how we understand each other are shaped by the stories we tell. 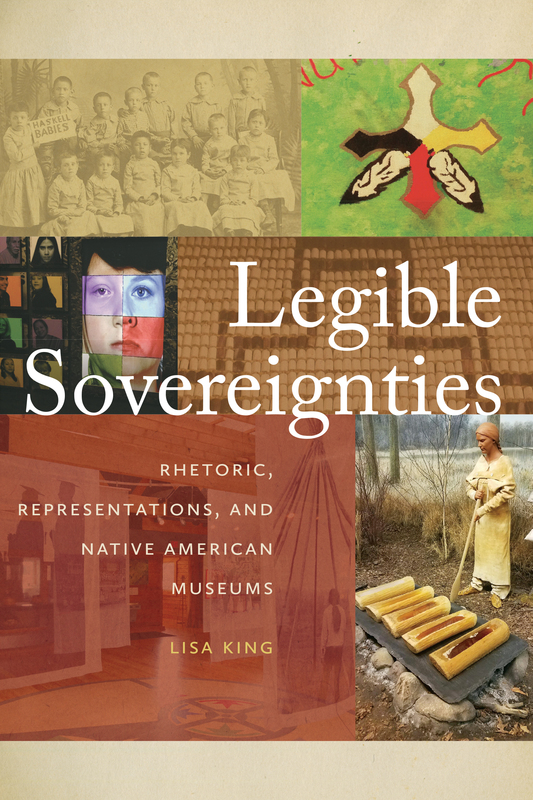 OSU Press author Lisa King explores the efforts and effects of Indigenously-driven stories within Native American museums in her new book Legible Sovereignties: Rhetoric, Representations, and Native American Museums. Her journey to publishing this book began more than a decade ago with her first acquaintance with the National Museum of the American Indian in Washington, D.C. She explores this awe-inspiring experience that gave her a new perspective into visual rhetoric, museum studies, and public engagement with Indigenous voices. My first time to the National Museum of the American Indian (NMAI) in Washington, D.C., was a revelation in many ways. The proverbial dust had settled from its triumphant opening months before, and while I couldn’t afford to be there for the opening ceremonies (grad student budget), I had finally made my way there. The curving sand-colored Kasota stone architecture, the high-domed atrium, the recently installed medicinal gardens: the entire orientation of the museum was unlike anything else on the National Mall, and an emphatic statement of Indigenous presence next to the Capitol building. “We are still here” was the undeniable claim. I was elated. Inside, the exhibits were beautiful, overwhelming in their stories, and an inversion of typical museum exhibit in the clear influence of self-representation in each Native community’s alcove. The Our Peoples exhibit told in some stark terms what the motivations for colonialism were, and the devastating effects of it for the peoples of North and South America. The Our Universes exhibit revealed many of the ways Native peoples of the Americas structure their worldviews, clearly challenging stereotypes of Native spiritual practice and philosophy. The Our Lives exhibit was my favorite, particularly for the ways it tried to complicate notions of Native identity and what Native peoples do on a daily basis to maintain identity and live as contemporary Indigenous peoples. The museum overall was a powerful, celebratory testament to the presence and survival of North and South America’s Indigenous peoples. Yet there were emerging problems, too. As someone who frequently negotiates back and forth between disciplines (rhetoric and Native American/Indigenous studies, plus museum studies) as a professional and between worldviews as a person, I worried over whether or not the average museum visitor would get it. Museums are widely believed to be purveyors of “Truth,” and so anything the NMAI did would be high stakes. How much history would the average visitors wandering in from the D.C. Mall know? What would their reactions be? Would visitors treat this narrative of survival and resistance the same way they would a display in an art or science museum, for good or ill? Could they grasp the complicated and nuanced and beautiful range of histories, cultures, and present-day lives represented here? Or would they just come looking for the exotic “Indian” in Plains war bonnet and buckskin? In short, I was not sure at all that the exhibits, lovely as they were, would bear the weight of visitors’ likely historical ignorance and the misperceptions they would likely bring with them. This moment more than a decade ago was the genesis for Legible Sovereignties: Rhetoric, Representations, and Native American Museums, yet as I’ve traveled and worked with other Indigenous museums and cultural centers, I have seen first hand that every institution faces these questions and that formulating answers involves much more than the experience of one museum, one community, and one audience. For this reason, the book highlights the first decade of work at three distinctive Indigenously-oriented or owned institutions. The Saginaw Chippewa Indian Tribe of Michigan’s Ziibiwing Center of Anishinabe Culture & Lifeways, for example, is a tribally owned and operated institution that developed out of Saginaw Chippewa community’s need and desire for a place to tell their own histories, repatriate their ancestors, and cultivate living culture for the next generations. Its context is deeply rooted in local communities, but its impact has reached beyond initial expectations and intentions to shape local and regional Anishinabe identities for Indigenous and non-Indigenous audiences. In contrast, the Haskell Indian Nations University’s Cultural Center and Museum provides a different kind of story, one that spans more than a century of history and represents more than 150 tribal nations and communities. The tracing of the university’s narrative from boarding school to educational self-determination is key to understanding Haskell as a place, but the story also continues to shift with its audiences’ needs and contributions. In short, all of these places have similar goals, and yet very different needs and audiences to which they answer. While we might desire a one-size-fits-all solution to re-educate audiences away from misperceptions founded in a narrative of savagism and civilization, what I hope to show is how every story here is unique, and every story here is connected. I talked with curators and museum staff at all three of these sites about their hopes and intentions, I documented the exhibits in their original state and then again as the spaces evolved at their ten-year anniversaries, and I collected audience responses and reviews for all the semi-permanent exhibits. What it adds up to is a rhetorical web of relationships and stories all aimed at taking apart the notion of a “savage” or “vanished” or “frozen-in-the-past” Indian to educate audiences about Indigenous presents and futures. Yet not all of those efforts played out as intended, some stories took a different turn, and sometimes what was assumed to be perfectly legible, wasn’t. Or what started out clear became muddied. Or what the audiences needed changed. In other words, what constitutes “legible sovereignties” for Indigenous communities has to be rhetorically flexible and responsive to audiences and the moment, and these three sites all embody individual and situation-specific efforts to speak Indigenous presence in a way that resonates for everyone involved. Every time I am in D.C., or Mt. Pleasant, or Lawrence, I go back to visit these beautiful institutions, and every time I am grateful to them for striving to make Native and Indigenous nations, communities, and individuals visible and break down misconceptions. This book is meant to honor those efforts, and in turn to make them visible so that we can continue to learn how to strengthen communication and education across audiences and across communities. They have taught me much, and I offer this account of their stories to you. It is easy to associate California with cannabis history. 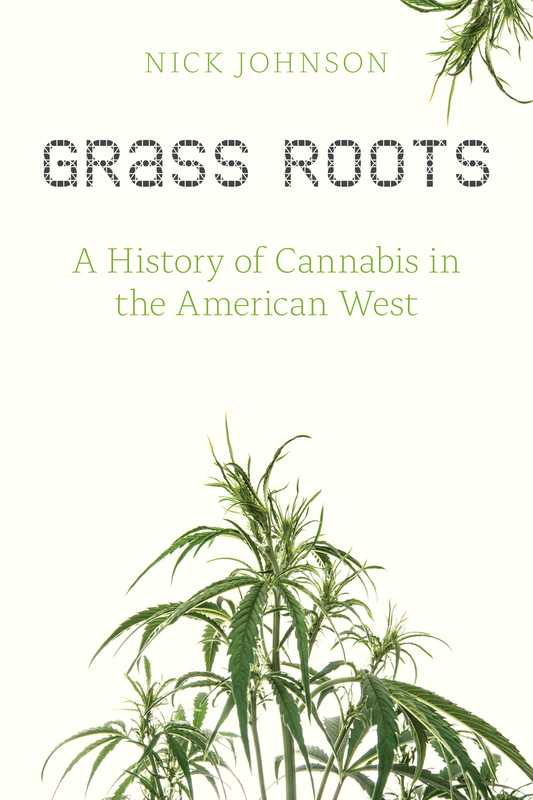 But Nick Johnson, author of Grass Roots: A History of Cannabis in the American West, emphasizes the rich history of cannabis in Oregon in today’s blog post. While his book explores the negative environmental impact and legacy of marijuana prohibition in the West, Nick credits Oregon with being one of the most environmentally friendly states for cannabis production. He also suggests that Oregon’s legacy of ballot initiatives as a legislative mode made re-legalization possible in many of the western states. So, to coin a phrase: Is it Beaver State or Reefer State? Read on to find out! When it comes to the long and controversial history of cannabis in the United States, California gets a lot of attention, for obvious reasons. There’s the Emerald Triangle, the countercultural mecca of San Francisco, and the Bay Area medical movement that eventually led to Proposition 215, which made the Golden State the first to re-legalize medical cannabis after more than eighty years of national prohibition. Those events and many others have understandably created the impression that California is, as journalist Peter Hecht put it, “America’s marijuana epicenter.” But anyone seeking to truly understand marijuana’s incredible story in the United States cannot ignore the plant’s history just over the border in Oregon. Like its neighbor to the south, the Beaver State has been home to many of the most important political, social, and biological events in the history of American cannabis. Cannabis products arrived in Oregon with the first white immigrants, many of whom came in wagons covered by hemp canvas. It’s unclear when medicinal or drug cannabis first arrived, but by the late nineteenth century, medicinal cannabis tinctures were available in Oregon pharmacies. By 1898, the state’s farmers and agriculturalists were excited about the prospect of a local hemp industry, even though the national hemp industry had been in serious decline for several decades. Perhaps because of a lack of demand, industrial hemp never did take off in early-twentieth-century Oregon. In 1904, in the throes of the Progressive Era, Oregonians passed the United States’ first ballot initiative, beginning their century-long love affair with direct democracy. Over the next 100 years, Oregonians drafted and voted on 384 ballot initiatives, by far the most in the United States. This normalized a process that would eventually allow for the re-legalization of cannabis in Oregon. Meanwhile, as American anti-vice fervor reached a fever pitch in 1915, Portland’s Morning Oregonian reported an investigation into “the sale of ‘cannabis indica,’ otherwise called ‘hashish,’ a drug said to be rapidly gaining favor as a substitute for opium.” Later that year, the paper reported that several local drugstores were caught selling “packages of hashish” to “young boys.” Portland promptly restricted all sales of “hashish” in May 1915. In 1920, Portland resident Dolores Fernandes was caught with a “large fruit box” of drug cannabis, which by that time was already starting to be called “marijuana” based on its alleged association with Mexicans. In 1923 the Oregon legislature responded to these and other incidents by outlawing the nonmedical distribution of cannabis. Around the same time, drug cannabis was falling out of favor as a medicine, as physicians and pharmacists struggled to find proper dosages and figure out the appropriate application for its medicinal properties. The federal government eventually outlawed all cannabis production with the Marihuana Tax Act of 1937. Without a robust trade in either hemp or medical cannabis, the plant largely disappears from Oregon’s historical record until the counterculture of the 1960s. Hippies and other counterculturalists picked up the habit of marijuana smoking from the Beat Generation, which used the drug as a gateway to new ideas and a greater appreciation of music and the arts. By the late 1960s, different groups of counterculturalists were starting their own, separate communities in rural places across Oregon. Some of the earliest communes included High Ridge Farm on the Illinois River, Sunnyridge in the Browntown area, and CRO Farm west of Eugene. By the early 1970s, communal groups convened in the southern Oregon locales of Applegate, Medford, Jacksonville, and Ashland. While many of these communes withered over the course of the 1970s, the counterculture had firmly put down roots in Oregon. The university towns of the Willamette Valley and the rural hamlets of southern Oregon were particularly prominent hubs of countercultural activity, including marijuana use and cultivation. In 1970, Eugene resident Bill Drake typed out The Cultivator’s Handbook of Marijuana, the nation’s first guidebook exclusively dedicated to cannabis cultivation. Tailed by the FBI after he sold his first 500 copies, Drake eventually got a conservative publisher in the town of Florence, Oregon, to publish additional copies. Drake went on to pen “Cultivator’s Handbooks” for other controversial plants, such as tobacco and coca. In 1973, amidst a rising rate of marijuana use by young, middle-class whites, Oregon became the first state to decriminalize cannabis possession. The new law reduced the penalties for possessing up to an ounce of cannabis to a $100 fine, instead of the extensive jail time required by earlier laws. 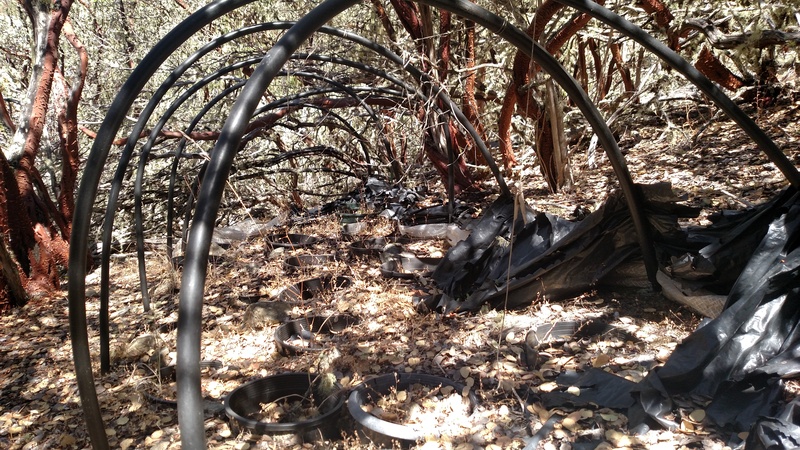 By the 1980s, southern Oregon’s warm climate, geographic isolation, and countercultural presence made it a hotbed for illegal marijuana farming. Growers there held annual harvest celebrations for the cannabis crop, and some even proudly labeled their crop “grown in Oregon.” “Marijuana culture was just everywhere,” remembers Richard Reames, a southern Oregon grower who has lived in the area since the 1980s. Reames used Robert Clarke’s Marijuana Botany to farm his own funky flowers, but after Bill Drake’s book, there were plenty more marijuana guides to choose from. One was Tom Alexander’s Sinsemilla Tips, a magazine first published by typewriter in Corvallis in 1980. Alexander started the magazine after Corvallis police busted him for growing marijuana in 1979. The magazine published advice columns by growers, for growers, and sold ad space to garden supply shops and other businesses that cheekily sold lights, fertilizers, and other equipment to growers. By 1985, Sinsemilla Tips had a press run of 10,000 copies. Meanwhile, the medical marijuana movement that began in California’s Bay Area gradually made its way north, where more Oregonians began reacquainting themselves with marijuana’s medical potential. In 1998, two years after Californians passed Prop. 215, Oregonians approved Ballot Measure 67; after a seventy-five-year hiatus, medical marijuana was legal again in the Beaver State. Despite ongoing raids by law enforcement, Oregon growers continued to experiment with their marijuana crop; some of the most popular strains today, such as “trainwreck,” are reportedly the result of Oregonian ingenuity (although the origins of that strain in particular are disputed). Following victories for adult-use marijuana in Colorado and Washington in 2012, Oregonians again tapped into their rich history of direct democracy and passed Measure 91 in 2014. As of July 1, 2015, anyone in the state over the age of 21 can now buy or use marijuana. Thanks to legalization, industrial hemp is also back on the rise; as of 2017, more than 100 Oregon farmers have planned for some 1,300 acres of hemp. While far from perfect, Oregon’s marijuana program is also one of the most environmentally friendly to-date, as it allows outdoor cultivation, regulates pesticide use, and encourages sustainable cultivation via a publicly available list of best practices. From hemp-covered wagons to resin-soaked sinsemilla, Oregon’s cannabis history demonstrates that the Beaver State has played an instrumental role in the dispersal of cannabis across the country and the rise of the modern marijuana movement. The state was home to the first decriminalization law, the first marijuana grower’s guide, and even the first major use of the ballot initiative—those living in states with legal marijuana today have Oregonians to thank for popularizing the mechanism by which the marijuana movement has met with so much success. Oregon has also been home to some of the most competent and innovative growers in the Pacific Northwest, making significant contributions to the West Coast’s reputation as the source of the best marijuana in the world. California may get most of the press, but the straight dope is that Oregon has been just as influential in the world of modern cannabis. University Presses recognize that knowledge matters today, perhaps more than ever. And we are making a difference through scholarship by providing the platform for well-written, well-researched ideas of integrity. New OSU Press author Ambassador Thomas Graham Jr.’s scholarship is making a difference on a global scale. His new book, The Alternate Route: Nuclear Weapon-Free Zones, looks at the frightening international reality of nuclear weapons and examines the possibilities of nuclear weapon-free zones as the pathway to worldwide nuclear disarmament. He gives us a look at this alternate route. Soon after the end of World War II, a vast nuclear arms race began as an integral part of the ensuing Cold War between the two superpowers left standing, the United States and the Soviet Union. During the Cold War and thereafter, the United States built more than 70,000 nuclear weapons, with the Soviet Union creating about 55,000. At its peak, the nuclear weapon stockpile in the United States consisted of some 32,500 nuclear weapons while the Soviet Union kept around 45,000 in its stockpile. Nuclear weapons also spread to additional countries until the 1970 Nuclear Non-Proliferation Treaty largely checked this trend. As of 2017, the United Kingdom, France, China, Israel, India, Pakistan, and North Korea all possessed nuclear weapon stockpiles; however the number of weapons held by these countries, while certainly still a significant threat, are quite small compared to the number of weapons in the stockpiles of the United States and Russia – even after significant disarmament progress. Beginning in the 1970s, important nuclear weapon disarmament agreements between the United States and the Soviet Union/Russia were initiated including: the SALT Agreements in 1972 and 1979, the Intermediate Nuclear Forces Treaty in 1987, the Start Treaty in 1991, and the New Start Treaty in 2010. The idea has always been that the two countries possessing in the range of 95% of the world's nuclear weapons would first reduce their stockpiles and then the other states possessing nuclear weapons would be brought into the process with the ultimate objective of worldwide nuclear weapon disarmament and a much safer world. Unfortunately, the current U. S.-Russian nuclear weapon totals, as discussed, remain far above those of the other nuclear weapon states. And with the return of Vladimir Putin to the Russian presidency in 2012, further reductions appear quite unlikely due to his opposition to further nuclear disarmament and the toxic U.S.-Russian relationship. But nuclear weapon disarmament is too important to simply put aside. Could there be an alternative route given the failure of the U.S.-Russia way? 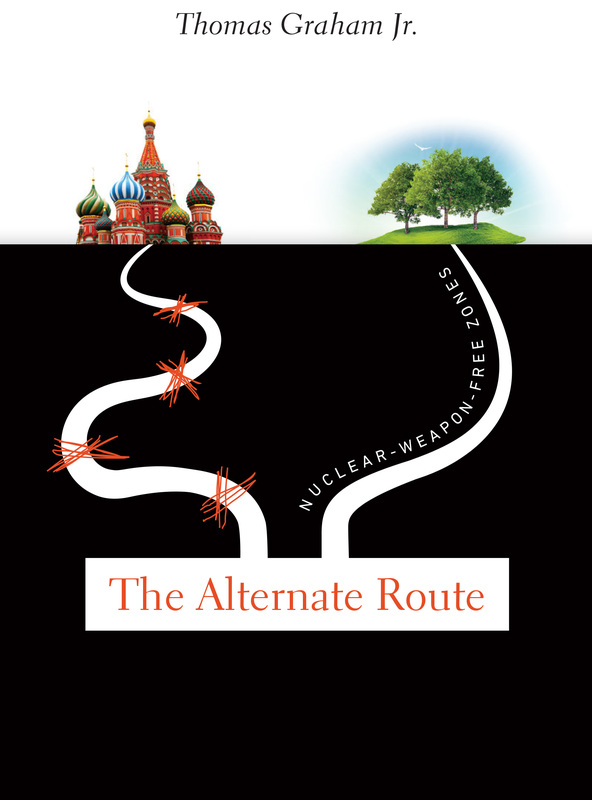 I explore a possible answer in my new book, Alternate Route: Nuclear Weapon-Free Zones. The book looks at the threat nuclear weapons represent, explores the U.S.-Russia relationship, discusses the several close calls with nuclear war that have taken place, and examines the nuclear weapon free zone established by each of the five treaties – Latin America, the South Pacific, Africa, South-East Asia, and Central Asia – in detail, including why they were negotiated, how they were negotiated, and their degree of success. These treaties legally put a number of programs associated with nuclear weapons aside. For example: the nascent nuclear weapon programs in Argentina and Brazil; French nuclear weapon testing in the South Pacific; French nuclear weapon testing in the Sahara; the construction of nuclear weapons by South Africa; and the threat of a nuclear weapon program in Libya. The book discusses where the Nuclear Weapon Free Zone process would need to expand to bring the world community closer to a chance to achieve worldwide nuclear disarmament. In addition to putting pressure on the five Security Council members with nuclear weapons – U.S., United Kingdom, France, Russia, and China – a lot of effort has been expended over the years to try to make disarmament progress in regions like the Middle East, North East Asia, and South Asia with only moderate success. As part of this book, the nuclear weapon programs in Israel, Iran (whose program has not gone to the construction stage because of the Agreement with the United Nations Security Council), India, Pakistan and North Korea are carefully analyzed. While obviously further expansion of the nuclear weapon free zone process is daunting when one considers where it must go next, it is not an impossible idea. At the very least considering such a concept will cause policy makers and scholars to "think outside the box," which is essential if the moribund nuclear disarmament process is to be revived. Very little has been written about this important process, but it is a subject to which we need to pay more attention for the safety and well being of the world community.